All the big media outlets do year-end retrospectives. This allows a lot of reporters to take the day off -- retrospectives take up a lot of room and can be done by newbies or even interns. It doesn't work as well for bloggers. I can prepare a retrospective in advance, I suppose, but I still have to do it. On the other hand, Ken Levine just published his year-end retrospective and he is (according to Time Magazine) one of America's Top 25 Bloggers. With informative, educational posts like "How not to carry on in court" (January 7) it really is a wonder how the ABA could have overlooked me. Again. I was actually way out front of a national legal story on January 12 with Lies, damned lies, and statistics: Lawyer employment and salary surveys conceal more than reveal." Later in the year, the University of Illinois Law School would be caught up in a scandal for falsely reporting the credentials of recent incoming freshman classes. And, speaking of the ABA, it just posted an article online, "How Long Can the Law School Bubble Last?" I really can't imagine why anyone would consider going to law school at this time. 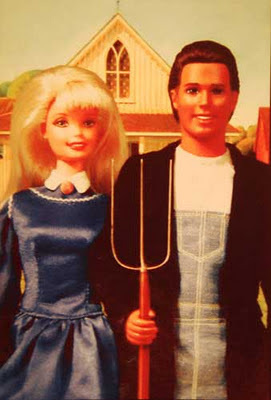 It used to be that two kids in the class got good jobs (grueling apprenticeships and 80-hour weeks, yes, but with prestigious, silk-stocking firms) and everyone else got jobs that ranged from OK to crappy. Today, crappy looks good. And the law schools are all charging $50,000 a year or more. Never one to resist trying to tie into a national story, no matter how tenuously, I did a riff on the 'Tiger Mother' controversy with "Tiger mothering and Youngest Son's doctor visit" (January 24). I liked the piece, anyway. A rant about blue jeans, "Curmudgeon blue about modern blue jeans," was a February highlight. At least it got picked up by Jay Harrison's ezine BoomSpeak. February also saw the passing of the Last Doughboy. Second Effort observed the occasion with "The War to End All Wars (and didn't) passes into American history." In March I looked at hangovers from both sides of the Generation Gap in "On mushrooms, White Castle, and other dodges" and reported on the accidental discovery of chewing tobacco in Youngest Son's jacket in "Discovery in a jacket." 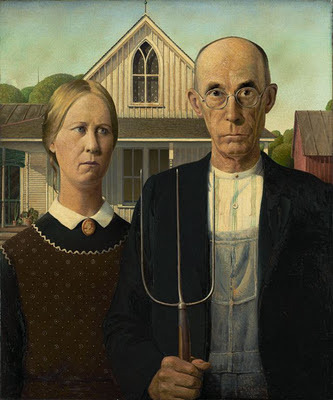 My legal post in March, "Curmudgeon learns the true meaning of sanctions," was about an unusually harsh appraisal of a lawyer in a published 7th Circuit opinion by Chief Judge Frank Easterbrook. In November, however, Judge Richard A. Posner made a bid to top the case I wrote about with the release of Gonzalez-Servin v. Ford Motor Co., Nos. 11-1665, 08-2792. 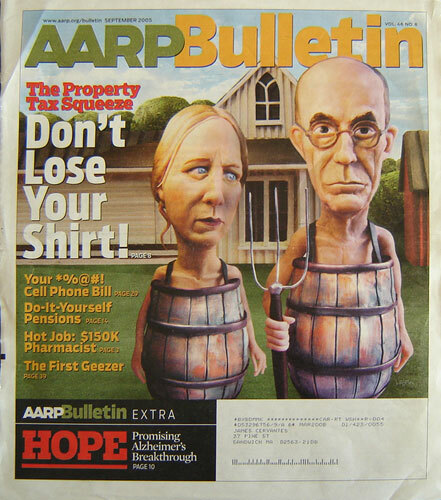 The accompanying illustration is from that case -- seriously. See, slip op. at p. 6. (I wonder if West will reproduce the picture in the Federal Reporter?) I still think Judge Easterbrook was harsher, however. Second Effort marked the coming of the baseball season on April 21 with "Curmudgeon gets conspiracy-minded about 1918 Cubs World Series loss." It seems there may be reason to believe that the infamous Black Sox of 1919 -- the "Eight Men Out" -- got the idea to throw the World Series that year from their North Side rivals: The Cubs may have tanked on purpose against the Boston Red Sox in the 1918 World Series. I admit it: I was unfair to, and perhaps a teensy bit harsh regarding, the auto repair industry in an April 4 post, "Check engine light means sanity check imminent." I still think that if you buy a brand new car and simply drive it from the showroom around the block into the dealership's service bay, someone there will -- with a straight face -- try and tell you that your brakes need replacement. However, the problem that I described at the end of that post did have an innocent and non-monetary explanation. If you're curious about it, I'll tell you in an email. Use the link in the Sidebar. Middle Son is still dating the young lady under discussion in "Easter dinner involves more than chow at Curmudgeon home" (April 28), and he still hasn't brought her around to meet me or Long Suffering Spouse. And he doesn't even know about this blog, so that can't be the reason. In May, I took a look at how wedding showers (and wedding greed lists, er, wedding registries) have changed since my trip to the altar. As is so often the case here at Second Effort, one of the villains in the piece is technology. Perhaps I shouldn't wonder why so many persons with sufficient technological savvy to use the Internet fail to relate to my blog posts. In May, too, I got to chronicle Youngest Son's Senior Prom. Young parents, take note: The dance is the least of your worries -- but take a look for yourselves and profit by my experience. Our other car went into the shop in May (Curmudgeon has a grand time getting the family van repaired). Follow the link and see how even when I'm right I'm still wrong. June was a busy month for me at work -- a terrible month, but a busy one. I only posted twice here. One of these, "Putting down roots -- and the dangers of transplants," is worth reading. And, unlike most of my posts, it's fairly short. From July, I'd recommend "How Long Suffering Spouse is spending her summer vacation" (July 12). The painting project lasted quite awhile. See, "Hotel open for business during remodeling" (July 22). See also, "Definitely time to go back to school" (August 12) and "Who knew that simplifying your life could be so complicated?" (August 18). No, these posts aren't really just about painting. The start of Youngest Son's collegiate career was extensively documented in "The Magic Book -- or -- A room with a view." You may be relieved to learn that that woman did indeed have a husband; he was present at the Fall baseball barbecue. Although that woman was more suitably attired on that later occasion, Long Suffering Spouse still wasn't too wild about her. But Long Suffering Spouse reserves her deepest hatreds for critters that get in the house. See, "There's a mouse in the house" (September 26). Actually, there must have been two. After a dozen traps failed to ensnare the little bugger, we put out at least a half dozen packets of d-Con. One Saturday evening, after this post appeared, a little gray creature crawled out and expired next to the chair in which my wife was sitting. In which my wife was sitting until she noticed said creature. The darker mouse that both of us eventually saw must have had the good manners to die inside the wall somewhere. And, speaking of critters in walls, I did a legal post in September, The large law firm and the ant hill compared." But still the ABA Blawg 100 ignored me. More recently, may I recommend Parent-teacher conferences, now -- and then" (October 20) or "Yet another illustration of why the Federal Government is in trouble: student loan edition (November 4)? And I may have inadvertently summed up this entire blog in this one post: "Focus... or lack thereof... at Second Effort." I celebrated my sixth 'Blogiversay' this month and published my 1500th post in October. If I could just find a way to make a living doing this.... Stay with me next year, won't you? This Mike Lukovich editorial cartoon (obtained from Yahoo! Comics) caught my attention and tickled my funny bone. I don't know if anyone from Iowa ever looks in on this blog, but I'd be willing to bet that most Hawkeyes are pretty darn sick and tired of the Iowa Caucus Circus. This last image struck me as seasonably appropriate, don't you agree? Happy New Year. It was Christmas Eve. I had the morning set aside to clean off my desk at home. Oldest Son and his wife Abby would be staying with us tonight -- them and their dog, Rodent. There are two ways a pack-rat can clean. There is the panic clean-up -- where everything loose is swept off the table and into a bag or box and hidden away somewhere where no one is supposed to look. A closet, perhaps. If there's room there. More likely, a room that will be declared 'off limits.' Depending on how (or whether) one remembers to bring all the stuff back after the guests have departed, such a room can quickly resemble the set of one of those awful 'Hoarders' TV shows. The other method, and the one I greatly prefer, is the controlled clean-up. I move stuff from one pile to another, mostly, but I keep track of what I'm doing and how. I always assemble a large pile for recycling or shredding but, somehow, the pile on the desk doesn't look any different. I know this because Long Suffering Spouse tells me. Anyway, the family computer is on my desk in the den. The old computer is like a spoiled child. Though I may urgently need to do something else, entirely independent of said computer, the machine will desperately require my attention. A grayed-out antivirus icon in the status was my clue Saturday that my controlled clean-up was going to have a computer maintenance feature as well. The antivirus wanted to run a backup. This is my tentative toe-dipping into cloud-computing: I bought some online backup space with my latest antivirus renewal. I tried to back up my music files -- and found I would need three or four times the space I'd purchased in order to accomplish that task. So I let the antivirus backup business languish; I had other things to do. Now the computer would punish me for this. One part of my clean-up routine was to transfer my files from the office into the home computer. That's how I back up. I have two mostly-equipped offices this way as well as some protection against machine failure. I put my work files on a thumb-drive at the office and bring them home in my briefcase. Moving my briefcase upstairs was an action item on my cleanup agenda. So I opened my briefcase to pull out the thumb-drive... and it wasn't there. I yelped in frustration. I'd left the stupid thing in my computer at work. I must have gotten distracted on the way out the door yesterday. Long Suffering Spouse heard me bellow. So did the neighbors, I suppose, but none of them offered to drive me downtown and fetch my thumb-drive. Long Suffering Spouse put on her coat. The Kennedy was pretty wide open early in the morning of Christmas Eve. By pretty wide open I mean that what traffic there was was moving at NASCAR speeds. I was at the office in 15 minutes. The offending thumb-drive was right where I'd left it. I plucked it from the office machine and looked quickly around the Undisclosed Location. You can imagine the Undisclosed Location this way: Paper here, paper there, paper everywhere. Boxes of paper. Shelves. Files. And office supplies. Mailing labels. I have a ton of mailing labels at the office. These are wonderful for getting Christmas cards out -- and, no, we hadn't done that yet and, yes, I know it was Christmas Eve already. If some spare brain cell triggered a recollection about mailing labels, however, I ignored it. I had mailing labels at home, too. And I was here to collect my thumb-drive. My wife and I were home in another 15 minutes. I returned to my desk; she went back upstairs to whatever holiday preparations she was making there. I plugged in my thumb-drive. I suppose I should have thought about what I was doing before jamming the thumb-drive into its slot. The thumb-drive slows e-v-e-r-y-t-h-i-n-g down. The pace of my controlled cleanup was never more than glacial to begin with; this was not helping. After a period of time -- weeks I thought but, no, it was still Christmas Eve morning -- I finally figured out that there was a software conflict between the antivirus and the stuff on the thumb-drive. See, my thumb-drive wasn't blank. It was given to me when thumb-drives were brand new technology and this one came loaded with a number of teeny-tiny little programs, none of which I cared one little bit about. But those programs had to load before I could move my files. I tried to safely eject the thumb-drive -- there's a procedure for this -- but the machine said a program was still running on the drive even though I'd terminated them all. Or thought I had. And the antivirus icon was still grayed out. And nothing had yet backed up there either. So... I thought... I'll do something else while I'm waiting. I have a netbook computer that I also use at home. When the family computer gets this slow I can turn to that for the Internet at least. Read the comics. Stalk my kids on Facebook. That sort of thing. I'd been looking at Facebook off and on Saturday morning but that wasn't particularly productive. So the thought occurred to me... why don't I dig out those labels? Long Suffering Spouse had only asked me about them 100 times or so. Here would be the Christmas Miracle: I actually did something I was asked to do! I began to wonder if perhaps the reason why I had so many labels in the office was that I'd brought the ones from home for some reason. Maybe they didn't print well on the printer at home? There was just one more place I could look, but I was beginning to have serious doubts about that. And, then, on impulse, I posted my frustration on Facebook. I didn't want to shout. I'd bellowed enough already. It seemed harmless enough to tell the world on Facebook. Long Suffering Spouse isn't on Facebook. And she was the only one I didn't want to tell about the labels. Not after she'd driven me downtown once already. I tiptoed up the stairs and into our room. Long Suffering Spouse and Younger Daughter were sitting on the bed. I didn't really look to see what they were doing; I understood that they were doing artsy-craftsy stuff. "Looking for something?" I could hear the barb in Long Suffering Spouse's question. "Um," I said. I looked at what my wife and daughter were doing and, for the first time, I noticed Younger Daughter's laptop was open. But the antivirus cleared up eventually. Last night, was it? I'm sitting at my desk here at the Undisclosed Location -- a location I'm going to have to abandon in a month -- hoping to get a phone call about a check. Not expecting, mind you, merely hoping. I'm usually not anxious for the page to turn on the calendar. I've begun to realize there are more years behind me now than ahead -- and why should I want to add to that imbalance? But I'll make an exception for 2011. I'm ready to shake the dust of 2011 from my sandals and move on. I'm hoping for better in 2012 on all fronts. Not expecting, mind you, but hoping. After the Last Supper, Jesus went into the garden at Gethsemane to pray. He knew what was coming. Still, He asked His Father -- you know, just in case -- if it was at all possible, whether He might yet avoid crucifixion. He concluded, though, "Not My will, but Thine." It's a prayer that's been a comfort to me, when I've remembered to say it, many times recently. As a male, as an American, and particularly as a lawyer, I want to be in control. I want to control my destiny. But I've been forced to realize that so much is beyond my control. I can do the best job I can for the client. I can't make the appellate judges read my brief. I can charge a fair price. But I can't make the client pay the bill. I can serve my clients honestly and faithfully, but I can't make them hire me for the next matter (particularly when I can't even get the judges to read the brief). I can't give up -- that's yielding to despair -- and it's pathetic. But I can give up control. I can do what I can do. After that, not my will, but Thine. I never could run. My Youngest Son runs a couple of miles just to get loose. I had to run a mile in gym class in high school and the battle for last place was between me and the grossly obese kid. He usually finished ahead of me. And I hadn't then been a smoker. I ran like I was wearing high lead boots. And I haven't gotten any better at it since, I assure you. I feel this morning like I'm trying to run in high lead boots in ankle deep sand. Some days are worse: I feel like I'm running in neck-high water. This is why I am so tired. I am fighting everything. My practice. My bills. My failures. Because I can't say -- and sincerely mean -- not my will, but Thine. I want you to know -- I want me to know -- I'm working at it. I'm trying to work at it, anyway. Not my will, but Thine. I've stated in the sidebar here for years now my belief that the three most dreaded words in the English language are "Some Assembly Required." This is something I sincerely believe. I remember hearing the late Bill Veeck explain how he tried to assemble a rocking horse one year for his kids. (This was Veeck's second go-round as a father, and he was already a big time, big league baseball operator.) He consumed a number of barley pops during the course of the endeavor and, when he announced he was done, his wife, Mary Frances, pointed out that the head was where the tail should be and vice versa. "That's no problem," said Mr. Veeck. "We'll just call him Charlie O. Finley." I'd forgotten the story over the years -- there are only so many synapses that can remain connected at any one time, even if one is not trying to dissolve as many as possible in an ocean of ethanol -- but the story came back to me vividly one Christmas Eve as I tried to assemble a rocking horse for my own kids. I did no better than Mr. Veeck -- and my wife, not surprisingly, didn't get the Charlie O. Finley reference. I didn't find out until much later that there are apparently a lot of lawyers who are lacking in the mechanical or craftsman department. I didn't know it as a kid. My father was a lawyer, but he was a craftsman too. He was the kind of guy who liked going to hardware stores and generally found something useful whenever he'd go. The old Sears store on State Street, the "World's Largest Store," was a favorite lunchtime haunt for my dad. Because he was also an educated, professional man, he'd explain his fascination with gizmos, gadgets and the latest power tools with the famous quote by Archimedes (give me the proper lever and I will move the world). My father tried to pass along his love of tinkering and building things to me. He'd buy me models. I'd glue my fingers together. The ball of plastic stuck to my sleeve would look nothing like the P-51 Mustang on the box. My father would invite me to assist him in his shop on one project or another -- but I'd get bored and difficult. Years later, I worked for a guy whose father -- who was not a lawyer -- also failed to pass along his mechanical inclinations. My boss told the story about how his father completely lost his temper one day. My boss was in high school and his dad asked him to fetch a wrench. He brought a screwdriver instead, not knowing the difference. This story helped me on two levels. I wasn't alone in my incompetence -- and I wasn't the most incompetent apprentice ever. My wife is the fix-it person in our family. (My dad figured that out early on -- and was pleased as punch to have someone who could understand him when he explained to how to install this or take out that.) For my part, however, I have come to accept what I am, and what I'll never be able to do. But if I ever became King of the World, one of my first decrees would be to ban the sale of partially assembled toys. Here's the deal: The Republicans say they want to extend the payroll tax cut that President Obama sought and obtained for 2011. President Obama says he wants to extend the payroll tax cut. The Democrats say they also want to extend the payroll tax cut. Naturally, therefore, the payroll tax cut stands on the verge of expiration since neither the Democrats nor the Republicans can agree on how to extend the tax cut -- and both want to blame the other more than they want to accomplish the stated goal. The Republican-dominated House of Representatives passed a bill including a one-year extension of the payroll tax cut -- but it also contained things that the Democrats don't like, such as support for a pipeline to bring Canadian oil to Gulf Coast refineries. The Republicans pitch it as a "jobs" bill, because it would, allegedly, create 20,000 direct construction jobs and 100,000 related support jobs. The Democrats don't like this. It's not that the Democrats like Arab oil better -- or even Venezuelan oil -- and they're certainly not mad at the Canadians. Shucks, everybody likes Canadians. But there is an obvious environmental risk in pumping crude oil across the United States. There is the risk of spillage and pollution. There is the risk of disruption of wildlife habitat and migration patterns. There is also the risk that Republicans might get credit for the pipeline. So the Democratic-controlled Senate passed their own bill, extending the payroll tax cut for only two months. Then they adjourned. This was an in-your-face, take-it-or-leave-it move. Closing up shop for the holidays avoids a House-Senate conference, at which compromise might inadvertently occur. And it's a win-win. If the Republicans refuse to take their deal, they are the heartless Scrooges who raised everyone's taxes at Christmas. If they take the deal, though, it sets up a March 1 expiration date for the payroll tax cut, and a brand new "crisis" right during the height of the primary season, so the Democrats can gain maximum leverage from the inevitable stories of Republican intransigence. Oh, and benefits for long-term unemployed people -- the victims of this interminable recession -- will also expire if the Democrats and Republicans can't find common ground. (Both bills had provisions to extend these benefits, too.) Now the House has adjourned too. And common ground seems further away than ever. You will hear much in the next couple of days about who "wins" and who "loses" in this latest artificial crisis. Let me simplify this for you: If you're a Democrat, you will think the Republicans look unreasonable. If you're a Republican, you will think the Democrats look unreasonable. But the only real losers will be those people whose paychecks will shrink, even if only a little bit, after the first of the year. This "crisis" is even dumber than the budget ceiling crisis because, here, there is near unanimity about the supposed desire for a payroll tax extension. At least the politicians claim to want a payroll tax cut extension. But let me ask an heretical question: Exactly what was the payroll tax supposed to do? If the payroll tax is just another failed economic stimulus, could it be that both sides really want to kill it, but no one dares admit it? Youngest Son has returned to the Curmudgeon home, arriving late yesterday afternoon. We thought he was to be driven by a baseball teammate who had to pass through Chicago anyway on his way to points elsewhere but, in the event, he was chauffeured by one of his high school classmates who lives near us. He decided to drive up into Wisconsin, fetch Youngest Son, and bring him back. "Why?" I asked, when the kid came in the house to get a glass of water. "I was bored," he said. "How long have you been home?" I asked. "So your folks are already sick of you." I'm not one of those who sniffles and pouts about the "empty nest." I'm happy when the kids go, happy to see them when they come back -- and increasingly anxious, and well nigh desperate, to see the collegians go by the end of Christmas Break. With two kids home, one will take my chair, one will take the couch and both will fight over what to put on the TV. Neither will wish to watch anything I want. Both will stay up far later than normal people. Much of the time they will wake me up when they stumble up the stairs. They'll leave lights on behind them. They'll sleep past noon. And, yes, I am jealous. Yes, Youngest Son plans to pledge Sigma Chi. Long Suffering Spouse looked at me with mixed wonder and consternation. "How do know stuff like this? More importantly, why?" Our future pledge seems happy enough in college, so far. He says his offseason baseball conditioning is proceeding well, and to the satisfaction of his coaches, and he claims to have done well in his classes. To those of you who don't yet have kids in college: Unlike grammar school and high school, you don't actually see the kids' report cards in college. Privacy concerns, you know. The schools are very sensitive about that. On the other hand, they seem to overcome these delicate feelings to make sure you see the tuition bills. But I digress. Youngest Son dropped his dirty laundry in the living room, plopped on the couch, and went to sleep. His mother woke him to feed him. He ate. He insisted we put on a movie. He dozed. Then his cell phone went off. And then he took the van keys and headed out. I had to pick up his dinner dish last night after he left. This morning, when I started the van, I turned off the country station he'd left blasting on the radio, and removed the glass he'd left behind. I'm happy to have him home. Really. But I can see where I'll get over it pretty darn soon. I actually went to the grocery store yesterday. Solo. Long Suffering Spouse did the Christmas shopping yesterday. We've been postponing this -- much to my good wife's chagrin. She hates last-minute shopping. (I, on the other hand, can't quite see it: Christmas is still several days away. It's not even close to the last minute yet.) The reason for the delay has been strictly financial. I haven't brought a check home since mid-August. This has a deleterious effect on one's Christmas spirit. Mine, certainly. But we must appear with presents for Nochebuena at Abuela's house. My wife's sister Josephine and her new husband Ferdinand will have presents (gift cards or bottles) for all of our kids, a bottle of scotch for me, and a sweater for my wife that she'll hate. Josephine's kids are younger; her oldest is in college, the youngest in third grade. Josephine favors two of her four kids; her partiality is obvious to strangers in the street. Long Suffering Spouse and I think more highly of the other two. Someone has to. I floated the idea of not bringing presents this year -- if you can't tell family you're having a crappy year, who can you tell? -- but Long Suffering Spouse would have none of it. We're using her schoolteacher's salary to try and keep up the minimums on the credit cards during this downturn, so I was reduced to raiding a savings account for Christmas cheer. We have two. Between them, they could barely make one mortgage payment. Now they can't do even that. There used to be more there, but what could we do? At this special time of year, Long Suffering Spouse had to go out and buy Christmas gifts for people she doesn't much like and which they won't appreciate with money we can't afford to spend. Tra la la la la la la. Younger Daughter -- home from school as of the end of the past week -- volunteered to go with my poor wife on this mission. Long Suffering Spouse offered me dispensation. After confirming, as best a clueless male can, whether this was really dispensation or a loyalty test, I agreed to stay behind and finish the week's laundry. I probably did not adequately conceal my relief. I watched the Bears self-destruct again and tried to work on a PLA that needs to be in the hands of the referring attorneys by Christmas. Where was this work earlier? I was actually making progress when Long Suffering Spouse reported in from the field. Crowds were miserable, she said, prices were high, parking well nigh impossible. Nothing on sale was worth buying; anything worth getting was overpriced. She and Younger Daughter were going to a different mall. This was when I mentioned the groceries. Sunday is grocery day in the Curmudgeon household. I sometimes accompany my wife on this mission; usually I stay home. I could tell from the gathering dusk, however, that my wife was never going to finish what she was doing and get to the grocery store. So I volunteered. Long Suffering Spouse protested; she'd get to it, she insisted. You don't have to, she told me. I persisted. "The list is on the refrigerator," she finally said, "and we need milk, too, and orange juice." I'll remember, I said. "Call me if you have problems." I will, I promised. Then, screwing my courage to the sticking-place, I headed for the local Jewel. Long Suffering Spouse has a methodical approach to grocery shopping. She starts are one side of the store (the Osco side) and goes up and down each aisle until she winds up on the other side of the store (the produce section). But I had such a short list. I steered my cart right up the middle of the store, toward the back, where I knew the milk was kept. My method was simple: Find the stuff I knew, in the places where I knew where to look, then worry about everything else. A simple plan, but complex in execution: A GPS would have been unable to track my progress through the store... up this aisle... down the next... doubling back... first left, then right... wasn't I just in this aisle? Why didn't I see this before? I knew where to look for things. The modern grocery store is arranged so that anything I want is on the bottom shelf. I think security was following me before I was through; my course was that erratic. One of the top items of the list was gluten-free pretzels. I don't think I ever heard of 'gluten' until the last couple of years; I'm still not sure what it is. I only know two things: (1) some people need to eat "gluten-free" and (2) most things I want to eat probably contain it. These pretzels were needed for the very last item on my wife's holiday baking list (she dips them in chocolate). Knowing she was already highly stressed, I limited my calls as much as possible. Still, I probably called four times. And I forgot to buy bagels. And I got the wrong paper towels. And I got the wrong potatoes, too. But I remembered the game pieces for the holiday contest the store is running. And I remembered to bring and use our cloth bags. Long Suffering Spouse and Younger Daughter didn't get back from the stores until nearly 9:00pm. I got the better end of this deal by far. Zombie-slaying Crusader Curmudgeon rides again! When a client tells me, "It's a matter of principle," I always counsel caution. Principles are nice, I answer, but they're awfully expensive. That looks awful in print, I realize. Some principles are worth fighting for -- even worth dying for. But... in the ordinary course of events... for Charlie Claim Examiner or Paula PI Plaintiff... the kinds of "matters of principle" that come up in the course of private litigation really aren't those fighting-or-dying kinds of principles. But they are expensive. And, when the client's passion cools, and it will, the client will invariably blame the lawyer for allowing the litigation to "get out of hand." And nothing cools a client's passion more and faster than a lawyer's bill for services rendered. On the other hand -- some things absolutely set me off. 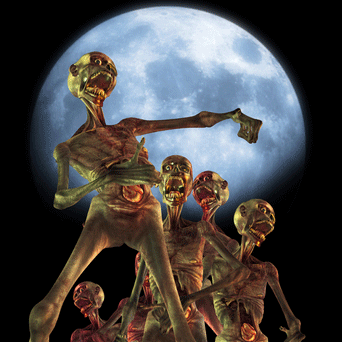 Zombie debt collectors are an example. Also known as scavenger or junk debt collectors, these bottom-feeders buy debt that others could not collect. Let's say you fail to pay Mr. Visa this month. Mr. Visa will promptly unleash his battalion of debt collectors on you -- but suppose, for some reason, you still fail to pay. Then the matter will be referred to "collection" -- an outside debt collector -- who will try and collect the debt charging Mr. Visa a fee of up to 50% of the amount collected. If these efforts fail, suit may be filed. But not always. Sometimes, when people owe a lot of money, they move quickly, under cover of darkness. The debt collector can't find the person who owes the money; suit may never be filed. The collector can still make money off these uncollected accounts, though, if it sells them to someone lower on the food chain. The entity that buys the debt pays pennies on the dollar because these debts have already proved resistant to collection. But the new collector can seek 100% of the original amount owed (and all the interest and late fees and other junk larded on initially). So the new collector only has to 'hit' on a few of these debts to make the investment pay off handsomely. If the new collector can get a default judgment against the debtor, it can garnish wages and levy property and do all sorts of things that really can squeeze blood from a turnip. Legally. And the dregs -- the ones that couldn't be found, now twice filtered, are sold again, now for pennies of each dollar that the second buyer paid. In theory, the process can be repeated indefinitely -- at least until the statute of limitation on the debt expires. That can be a long time. In Illinois, suits on a written contract can be filed up to 10 years after breach. You think the matter is gone and forgotten... but it keeps coming back. Thus -- zombie debt. 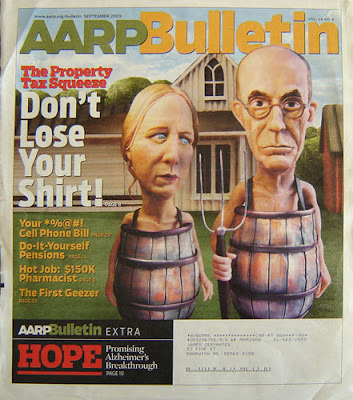 I represented a young lady last year who was sued by one of these collectors. Her father -- a Chicago resident -- was served with process on her behalf. The sheriff doesn't have to put the suit papers into the defendant's hands in order for service to be accomplished. It is enough, at least in Illinois, if the summons and complaint are served on a member of the defendant's household (as long as the person served is above the age of 13). Problem was, in this case, my lady was not living with her father. She wasn't even living in Illinois. She'd moved, some years back, to England. But I had to ask the question of my lady: Were you responsible for this debt? Sometimes the answer is no: Zombie debt collectors will make astounding leaps of faith in connecting persons they can find to debts they want to collect. A person with a similar name, living in the general area where the deadbeat once lived, may be 'confused' with the actual debtor. It doesn't really matter to the zombie debt collector: If the person sued does not take timely steps to protect him or herself against the suit, the zombie debt collector will get a default judgment. If the person sued fails to vacate that judgment in apt time, he or she will be saddled with that judgment. As the song lyric goes, in time the Rockies may crumble, Gibraltar will tumble -- they're only made of clay -- but default judgments are forever. But in this case last year, my lady conceded that, yes, she probably did owe some money on this card. She'd moved around a lot over the years, and her mother kept track of the bills and she took care of things with her mother, but her mother took sick and died some years back. This was, she admitted, probably a bill that she'd overlooked. Well, with that information, I was able to go back to the zombie debt collector's attorney and settle the case on very favorable terms. He really didn't want to try serving her in England. I don't think it's necessary to talk about exact numbers here, and I don't want to betray a confidence even inadvertently, but I think I can safely say that we settled for less than 10 cents on the dollar. My lady sent me the money; I paid the other attorney. We entered a dismissal order containing very specific release information. I sent a copy of the order to my client with very specific instructions to keep that paper handy. You never know, I warned her, whether -- despite the settlement -- some day some other zombie collector might pop up trying to collect that same debt all over again. I got a letter today from a new zombie, reciting that he'd bought the debt from the old zombie, the one I'd settled with, and saying that he'd noted that I had represented the lady from whom he was trying to collect the debt and I should darn well better tell her about this. I spent time instead trying to find out which state agency has jurisdiction over this species of fraud. And I sent a very civil letter to the new zombie saying either he or the old zombie was trying to commit a fraud either against my old client or on the court and, by the way, I was reporting this entire incident to the state. And I have. Another hour-and-a-half of my life I will never get back -- but it's a matter of principle! When you've got money in your pocket and more in the bank, you're a popular person. Have no illusions: The smell of money is what makes you popular; when the scent (and the cents) dissipate, so too does your popularity. As the song lyric goes, "And when you've got money / You've got lots of friends / Crowding 'round your door / But when the money's gone / And all your spending ends / They won't be 'round any more." The ease of finding people is inversely proportionate to the amount of money they owe you. If they owe you a lot of money, they'll be darn near impossible to find. Of course, if you owe a lot of money, you do your best to make yourself invisible, too. At least to those who would ask for payment. And I've had a couple of colleagues vanish on me in recent months -- both owing me money I desperately need. But, sometimes, it isn't just the money. I caught one of the lawyers who owes me money in his office just the other day. While I was waiting for him to get off the phone (the way his office was set up he couldn't get by me; there was no back door), his secretary asked me if he'd told me about his recent operation. No, I said. She clammed up. "I'll let him tell you. If he wants to," she said. He did. And he did. He has cancer. He had a growth removed from his neck and he was looking ahead to both radiation and chemotherapy in the coming weeks. He could talk to me about this, I think, because he knew I'd been through something similar. Not very similar, mind you. My cancer barely qualified as such. I did have most of my colon removed and it took me a year to really feel like myself again -- but I never had to have radiation or chemo. "My oncologist asked me how I liked the surgery," my colleague told me. "I said it wasn't too bad. I wouldn't want to do it again any time soon, but I could handle it. 'Well, that's good,' my oncologist said 'because, compared to the surgery, the chemotherapy will be like get hitting upside the head with a baseball bat. The radiation will be worse.'" Charming bedside manner, I thought to myself. I made some sympathetic noises. Messrs. Master Card and Visa won't see it this way, but even a dim guy like me begins to understand that getting Curmudgeon paid may not be at the top of his to-do list in the present circumstances. And I mentioned that other colleague who has disappeared. She doesn't even really owe me that much money. But we do a lot of work together -- and she's stopped pulling her end. I have to scream to get her attention. Thirty years ago, when someone dropped out of circulation, we used to joke that he or she had "fallen in love" and would likely resurface only when the lust settles. Often enough, we were right. These days, though, among my contemporaries, I begin to suspect health issues. I don't want to be right. After over 1500 posts, I'm just egotistical enough -- or lazy enough -- to think I've got some stuff worth recycling. I've been trying to come up with 'seasonal' stuff for the sidebar and I've just put together a Christmas collection (scroll down the page -- you'll find it). Take a gander. Enjoy, if possible. Those of you who've been regular readers are excused from reading anything again... unless, of course, you really want to. If you're new to this blog, the linked posts might be an easy way to check out the archives without making a career out of reading somebody else's blog. Can anyone make a career out of reading someone else's blog? Can anyone make a career out of making a blog in the first place? I've read stories... but I have my doubts. Anyway, more new and scintillating original material -- or at least the kind of dreck you've come to expect here at Second Effort -- should be up Thursday. The Good Lord willing, and the creek don't rise. It's just that (according to the caller ID) Newt2012 keeps calling my house, sometimes more than once a day. I haven't answered, nor will I, and the ex-Speaker never leaves a message. Now the Iowa caucuses are coming up soon and I understand Mr. Gingrich is hoping to do well there. So: If Mr. Gingrich is calling to get me to go to a caucus for him, he's geographically confused. If he's calling me for money, he's really confused. If he's calling to make a provisional offer for me to be Ambassador to Whatchamacallitstan or Assistant Deputy Undersecretary in the Department of Putting Things on Top of Other Things should he be elected, I wish he'd leave a message. I'm not holding my breath. There was a brief buzzlet around Black Friday, with certain conservative Christian groups demanding a boycott of retailers who refused to use the word "Christmas" in their seasonal advertising and retailing strategy. When the sales associate wishes you 'Happy Holidays,' the argument went, you should put down what you've selected and walk out. Shouting "Bah Humbug!" perhaps over your shoulder? For me and mine this is Christmastime. And I don't understand how and when wishing someone a Merry Christmas became potentially offensive. Not that I haven't myself caved in to the apparent cultural decree: I once found myself wishing people "Happy Holidays" -- in the vestibule of the parish church after Midnight Mass on Christmas Eve. the modern, Stone Age family? Why should saying "Merry Christmas" be offensive? Christmas surely has a well-developed secular component. 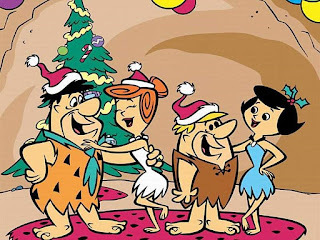 I forgot to set my DVR yesterday for the annual showing of A Flintstones Christmas -- and there's an Ice Age Christmas special I'm looking forward to catching at some point -- but how sensitive must you be to take offense at these and similar projects? Unless, I suppose, if you're a particular sort of prickly Christian who can't get over the idea of cartoon characters celebrating "Christmas" thousands of years before the birth of Christ. 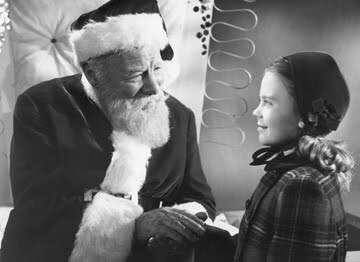 Actually, looking back on the holiday classics I grew up with -- Miracle on 34th Street, for example -- the concern was that retailers were co-opting Christmas for their own selfish, commercial purposes. So... maybe... shouldn't that mean that I not get upset when a storekeeper says "Season's Greetings" or "Happy Holidays"? I admit that it was a little jarring to watch the Patriots-Redskins game yesterday on CBS (the Bears had the late game, in which they were the latest overconfident bunch to get Tebowed): CBS kept running a 'holiday' promotion for its shows in which the words 'jingle' or 'holiday' seemed to predominate. I kept waiting for at least a throwaway Merry Christmas, but none was forthcoming. But just because you believe that "Jesus is the reason for the season," does not mean you can or should act like a jerk, OK? Sadly, I think the little guy has the rules down just about cold. Back online at the Undisclosed Location... but how? After our month-long Internet outage here at the Undisclosed Location (from August 23 to September 20, if you can believe it), we dropped our former ISP and went with AT&TT or BP&P or whatever it is that I'm calling the telephone megalopoly these days (note to future OED editions -- "megalopoly" is here used to mean a particularly sinister or evil monopoly, the word "monopoly" alone not having a sufficiently pejorative dimension). How nuts were we, eh? But our tenant was using The Phone Company and her Internet came back in a day after the August 23 power outage in Chicago's Loop. Maybe, we thought, The Phone Company service was actually reliable. Then our tenant had problems last month. She can write about those on her own blog. Maybe she already has. But her service, though with The Phone Company, was separate from the one that I and my remaining partner in the rental of this Undisclosed Location share. We didn't have real problems until Monday. And, then, as it turned out, my remaining partner (who wasn't in Monday) was able to access the Internet on Tuesday -- after I'd waited in vain all day Monday for a repairman from The Telephone Company to come out (as promised). My post Tuesday (on which the video seems to have already failed) and my Blogiversary post yesterday were both launched into the ether from home. 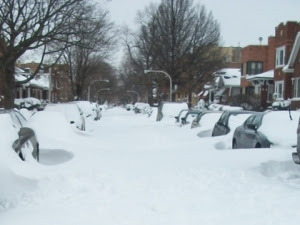 And I was working from home yesterday, too, when I got a call from our tenant who advised that a repairman from The Phone Company had just showed up at the Undisclosed Location. When you're a megalopoly, Monday from 12-4 can damn well be Wednesday morning if you say so. Now, of course, no one could access my machine at the Undisclosed Location except me. And I wasn't there. And the reason I was home was because I was preparing for a doctor's deposition at 1:00pm. Our tenant watched the man from The Phone Company and she saw that he was able to get on the Intertubes from our equipment room. But she could not see how he did whatever he did. I begin to suspect that rattles and magic dust were involved. But I'm online now... and I'm not complaining. After I close out this post, I mean. Blogiversary -- anniversary of blogging -- whatever you wish to call it, maintaining a blog for six years is some sort of achievement. And this isn't even my first blog. That blog, so long ago abandoned that I can not even remember what I called it, was created so I could communicate more easily with Older Daughter while she was studying in Spain. She set up a blog where she could share her experiences of her semester abroad with the rest of the world. I set up a blog so I could comment on hers, and possibly exert a moderating influence on what she shared with the entire world. A wet blanket, as it were. Then she came home and that blog fell into disuse. Maybe I even forgot the password. But then I decided to start this blog, my second blog, my second blogging effort (hence the blog title) and I've maintained it ever since. This has never been a daily venture, although I've tried to post most weekdays. I would have posted nine days in a row before today but for the fact that my office Internet was out again on Monday. I don't look forward to moving out of the Undisclosed Location in a month or so. I think I'll be able to stay in the same building, which will minimize the disruption. But one thing is certain. I am going to personally supervise the installation of the Internet in the New Undisclosed Location so that I know how it is set up, how it works, and how to troubleshoot it if problems arise. In the meantime, thank you for dropping by. Keep coming back, if you can stomach my incessant whining about money, technology, and other things that get under my skin. OK, so Kepler 22-b is 600 light years away. And we'll have to get the marketing department to come up with a better name. But Mike Wall of Science.com writes in an article posted today on Yahoo! News, "If the greenhouse effect operates there similarly to how it does on Earth, the average surface temperature on Kepler-22b would be 72 degrees Fahrenheit (22 degrees Celsius)." I'm ready to leave tomorrow. Do you suppose the neighbors will be friendly? Someone game my wife two AMC theater passes last Christmas; we used them yesterday to go see The Muppets. I enjoyed it, mostly, although Amy Adams is a bit much for me. She was doing the same schtik she did in Enchanted and I know I'm supposed to just think she's icky-sticky-super-sweet. But -- for me at least -- she's a bit much. 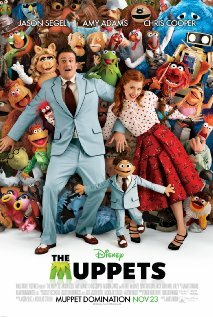 And one other objection (I don't think this qualifies as a spoiler): The plot centers on the Muppets being forgotten. Forgotten? Not in my house. Was any of this going on at your Thanksgiving gathering? (Today's "Pearls Before Swine," by Stephan Pastis. I was complaining just yesterday that I have the attention span of a gnat. But, as my mother used to say, there's more truth than poetry in this comic: By comparison to our kids, who are nearly always with gadget-in-hand, we are profiles in concentration. The question is, do we get angry about it? Or do we live with it? I admit: I tried getting angry about it. I achieved sullen compliance some of the time. But when people are fuming at one another the conversational flow is decreased, not increased. So I've joined the live with it group. The devices become an aid to conversation -- fact-checking your assertion that so-and-so was in that movie, answering the question about who won the MVP Award in 2007, reassuring someone else that flights out of O'Hare are still 'on time' (as 'on time' as they ever get, anyway). Armed with my wife's iPad (because it has a screen much bigger than the kids' smart phones), I can even play along. Are you with the 'getting mad about it' group? Or are you willing to live with these devices, even at family gatherings? Are you sneaking a look at this post right now, underneath the dining room table? 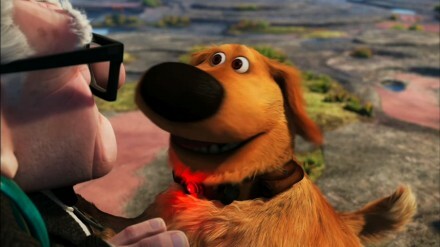 I'm like the dog in Pixar's Up these days -- almost anything steals my attention -- Squirrel! Yesterday, for example, I read with great interest a story about Georgetown students who have pieced together a frightening portrait of tunnels deep underground in China, wherein the Second Artillery Corps of the Peoples' Liberation Army can shuttle nuclear missiles from one location to another. The students (and their professor) have suggested that China may have 3,000 warheads that can be run around these underground tracks, a number nearly four times prior estimates of China's nuclear capability. And it occurred to me, why would our Chinese masters need all these missiles? If they want to destroy the West, they have only to call their loans. Or stop selling us stuff. Foreclosure seems easier -- and less likely to trigger nuclear winter -- and Squirrel! I recently published an article on my other blog, the one I write in my own name, and I linked to it from my Facebook page. I got a few nice responses, which I take with a grain of salt. Some people (including me) can't take a punch. But I also have trouble taking a compliment. A message I received from my sister Betty may explain why. Having reviewed the favorable comments, she wrote, "I don't really understand much about what you write, but I like to see you get acknowledged for it." How Irish of her! An insult dressed up as a compliment: Betty holds bachelor's and master's degrees in English. She teaches English in a suburban high school. If she can't comprehend what I write, it can only be because it's incomprehensible. I'm still smiling as I write this -- a masterful put-down is a thing of beauty. I was still trying to formulate an appropriate response when -- Squirrel! For the past two years, manufacturing all over the country is rebounding like it hasn’t in decades. There is a whole new face of manufacturing in 2011. That’s why manufacturing is now leading this country’s economic turnaround. What’s more, as American manufacturers embrace innovation, automation and the value proposition, they’ve become the most efficient in the world. And that’s why in 2010, despite a 4.4 percent reduction in labor costs, they realized a remarkable 6.7 percent spike in productivity. In other words, these days American manufacturing is growing, and doing so with new demand for highly paid skilled workers. Some 20 percent of all manufactured goods worldwide are made in the U.S.A. This is a market share that has held steady for decades. If you want to write a trend story, please write one that’s timely. Write about how many good manufacturing jobs continue to go unfilled in this country, even with 9 percent of our workers unemployed, because so few unemployed U.S. men and women are trained to do them. Write about how manufacturers who are producing “offshore” are facing escalating costs, long shipping lead times, detrimental quality and security concerns, are now starting to “re-shore” many facilities back to America. Write about how, thanks in large part to lean, forward-thinking Illinois-based companies like Caterpillar, and the millions they’ve invested in lean state-of-the-art plants, manufacturing is actually stronger in many states, including our own, than it’s been in years. Gosh, I hope Mr. Sainati is right -- but all I hear on or read in the news these days suggests we are headed for Hell in an increasingly threadbare handbasket. I tried to think about how I could investigate (and hopefully verify) these claims and maybe do a post about it and -- Squirrel! An article that pushes back the timeline for when humanity came 'out of Africa' caught my eye. And, in reading the article, I was struck by the assertion that Arabia, like the Sahara Desert, was once a lush, green place -- you know, climate change that predates even Al Gore? -- in other words, the world's climate is changing now because it changes always and the question is the extent to which humanity contributes to that change and whether we can hope to influence the changes that must come regardless of what we attempt -- and Squirrel! Well, that got me to thinking about Jeane Dixon. When JFK was assassinated, everyone remembered her prediction -- and forgot her subsequent prediction that Nixon would win in 1960. Although she might have been right about that later one: If Richard J. Daley hadn't desperately needed Dan Ward to beat Ben Adamowski in the race for Cook County State's Attorney, Kennedy wouldn't have gotten nearly as many votes from Chicago -- LBJ may have stolen Texas, but Daley the First did not steal Illinois for JFK; that was just a happy consequence of straight ticket voting -- the dead hated to ticket-split -- for which Daley was able to take credit. But, on the other hand, if Dixon had been right about Nixon winning in 1960, then no one would have remembered her earlier prediction about the assassination of a Democratic president elected in 1960 -- and that got me back to the grim weather forecast: I wondered, does anyone ever follow up on these dire weather predictions and see how often they come true? Now THAT would be an interesting -- Squirrel! How old must one be to get this one? But I was humming the tune as soon as I saw it.